help with killing scale insects please! 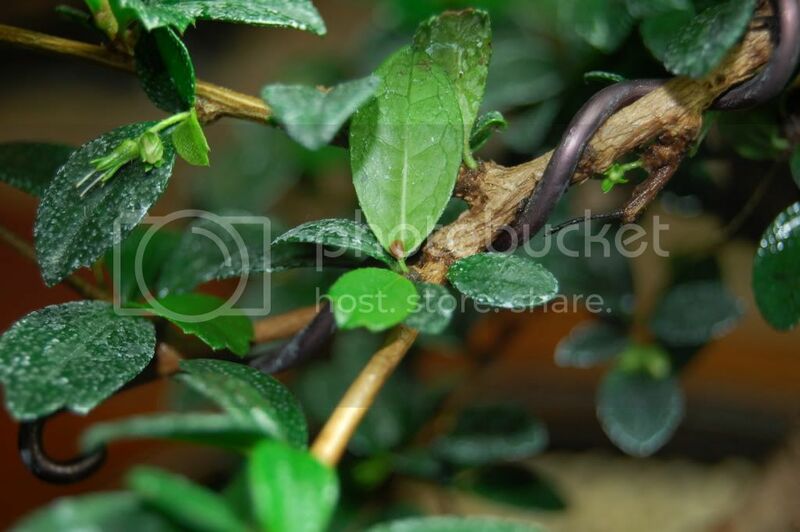 hi everyone, I re potted last month, and now I noticed little black guys hanging out on my fukien tea leaves. my guess is they are scale insects.. i think... and after I moved some rocks away from the top layer of soil, i noticed a few tiny guys running away. 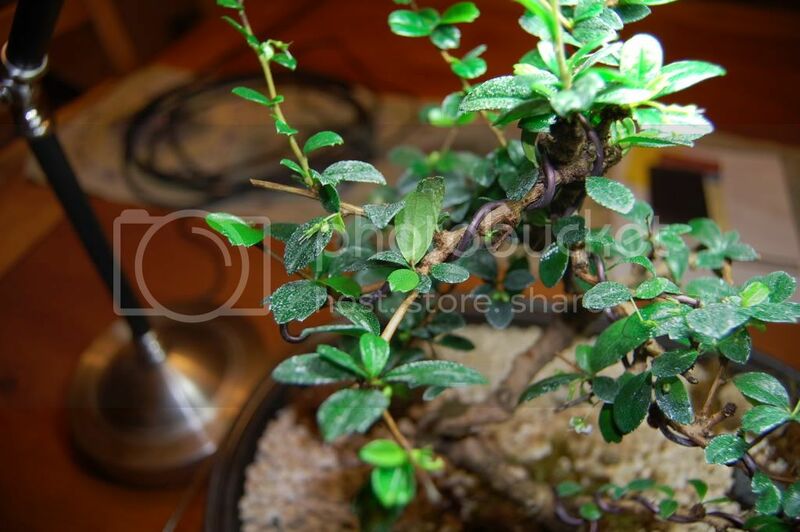 I am new to bonsai, and do not know the recipes for alcohol spray and neem ail whatever i need to do to save my tree. if anyone can tell me specifically what i need to do to kill the guys on the leaves, and in the soil I would be very thankful. I use the "alcohol" mix with great success. In a 1 gal jug add 2Tbs dish detergent ( I use whatever I have on hand), 1Tbs vegetable oil, and 1 to 2 caps full rubbing alcohol. Fill with water slowly or it will foam. Put the mix in a spray bottle and get rid of those rascals ! If you don't use the whole mix at one time, just add a cap of rubbing alcohol before your next use. Liquid dish-washing SOAP, not detergent, is safest for plants. Detergents can burn the leaves. thank you so much! will this also take care of the guys that are crawling around in my soil tho? mikeorzechowski wrote: thank you so much! will this also take care of the guys that are crawling around in my soil tho? just a quick update, gave treatment last night, and i checked on the tree today and it looks pretty pest free to me! great thanks to Gandalph and cynthia_h I appreciate your advice! Adult Scale are immobile and the ones I have seen attach themselves to stems rather than leaves. In fact, they don't much look like insects at all, just lumps. They are under a hard shell that protects them from treatment. Scale can be difficult to rid yourself of so if you did really have scale I doubt that you have eradicated them with one treatment. Do you think there is any possibility that you actually had Aphids? mine definitely looked more like scale, but on a much smaller scale. I keep a close eye on my tree daily so i think i caught them before they got to be that big..
im going to go look for the remains of one now to try to snap a photo. that little brown guy dead center. used to be darker in color before treatment, (dark brown, maybe black). but the tree had several of them. now this is all i can find. is this due to the alcohol spray? or the insects. is there anything i should be doing to help the leaves out? In another thread that has been concurrent to this one, another grower has had exactly the same problem. Scale insects and subsequent leaf damage due to even mild insecticide, in their case they used insecticidal soap. I don't grow this species so my knowledge is second hand at best but apparently they are known to be very attractive to insects while simultaneously prone to leaf drop when sprayed. I have read of others who have claim to have used insecticidal soap safely though, so I am unsure what caused your problem, perhaps it was the alcohol. I'm sorry that no one mentioned this possibility before you committed to the spray. The black (from what I can see in the photos) appears to be sooty mold, which is often a consequence of aphid or scale attacks. It's more difficult to get rid of than the aphids themselves are; less difficult than the scale insects can be. I had an outdoor podocarpus that was so infested by both scale and sooty mold several years ago that it had to be removed. The location was poor, both from a sun and an air-circulation viewpoint. According to Ellis & Bradley's 1992 Organic Gardener's Handbook of Natural Insect & Disease Control, "[Sooty mold] lives on the honeydew excreted by aphids, mealybugs, and scales. Treat the plant for the insect infestation. 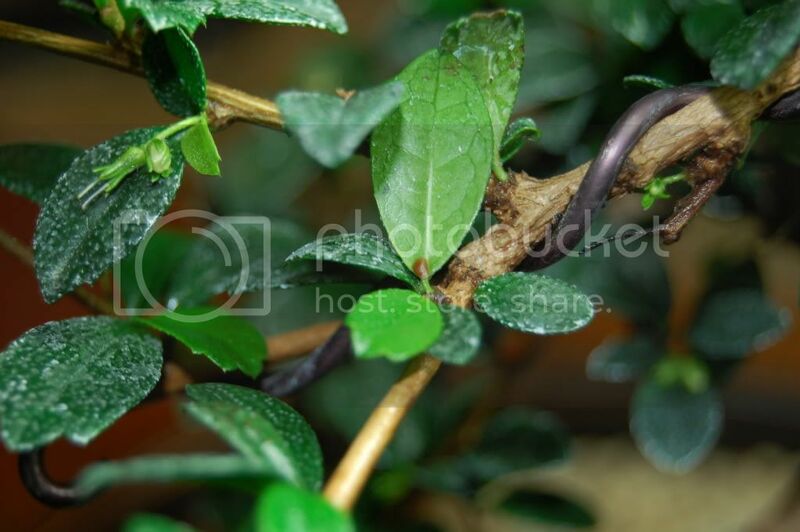 Then clean the foliage with warm soapy water and rinse." You've treated--successfully!--for insects. Rather than subject the entire plant to soap again, why not try Q-tips or other gentle cotton swaps and wipe the sooty mold off of the leaves, top and bottom? If the insects are truly gone--and their eggs as well--this will improve the ability of the plant's leaves to transpire. It will also have the benefit of not disturbing the soil.